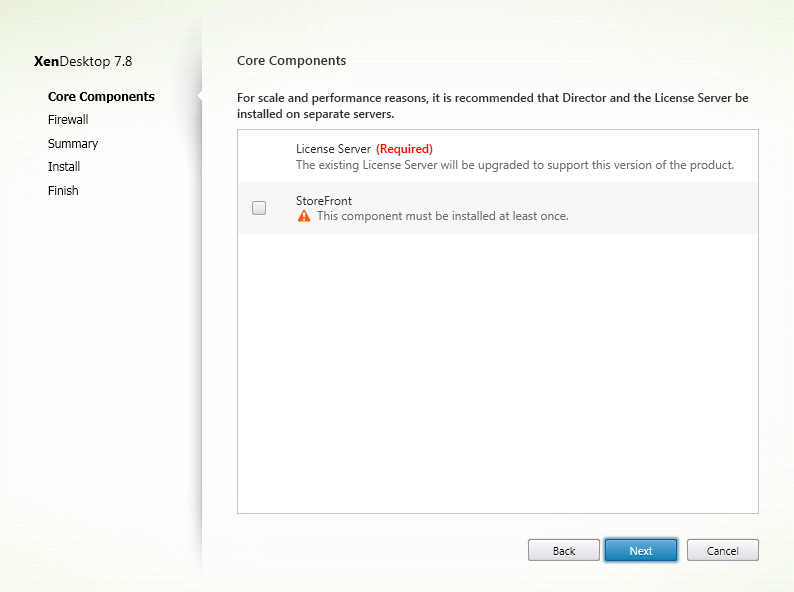 Upgrade your Citrix License Server to the latest version 11.13.1.2 to support Citrix XenDesktop/XenApp 7.8. 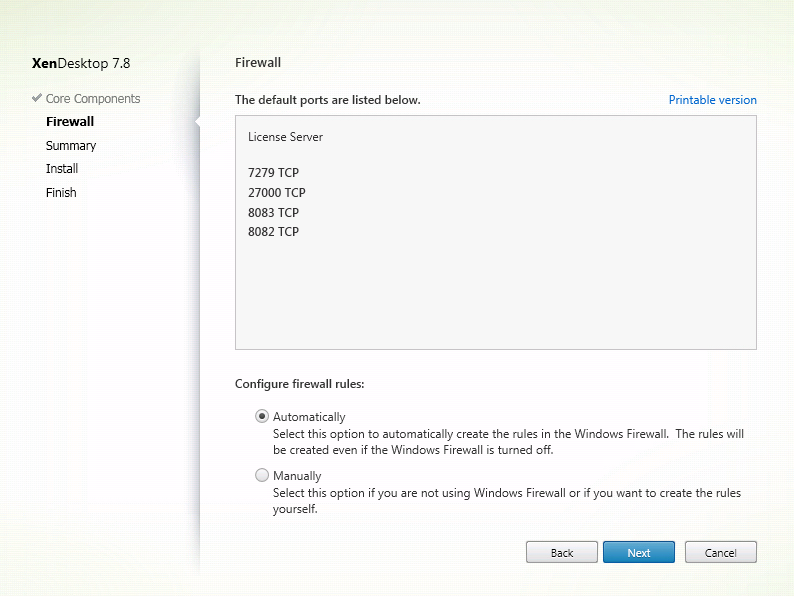 Citrix recommends that you install the newest License Server. The new License Server is backward compatible and will work with older products and license files. ; however, new products require the newest License Server to check out licenses correctly. 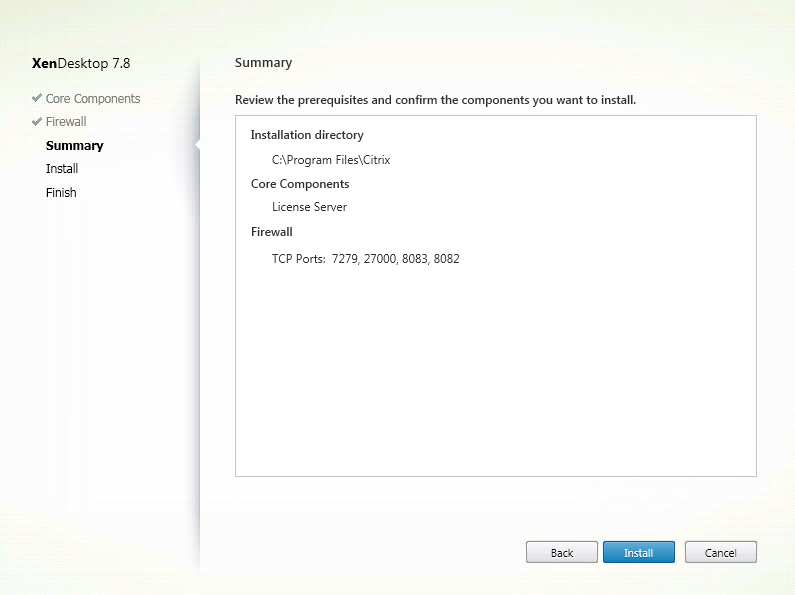 You can download the the Citrix License Server components separately or run the installation from the Citrix XenDesktop 7.8 iso. 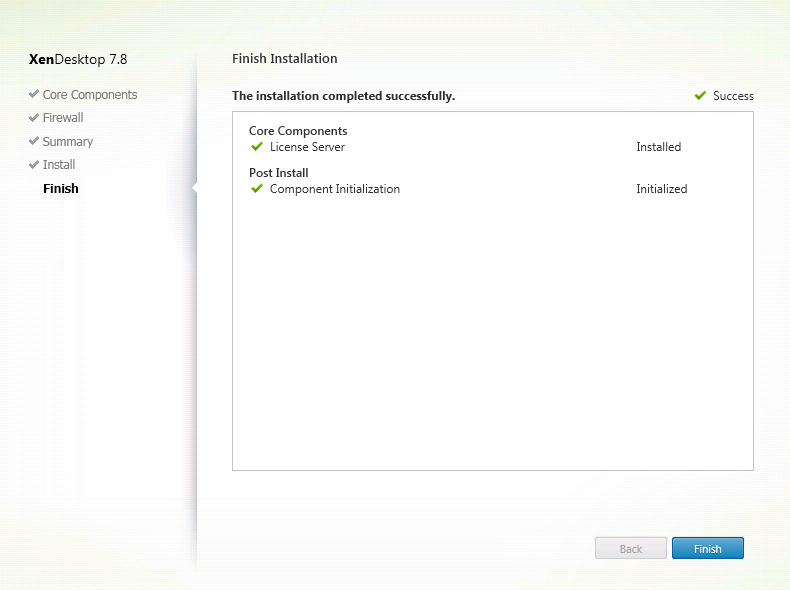 Mount the Citrix XenDesktop 7.8 iso and start the installation. Click on Get Started Delivery Controller. 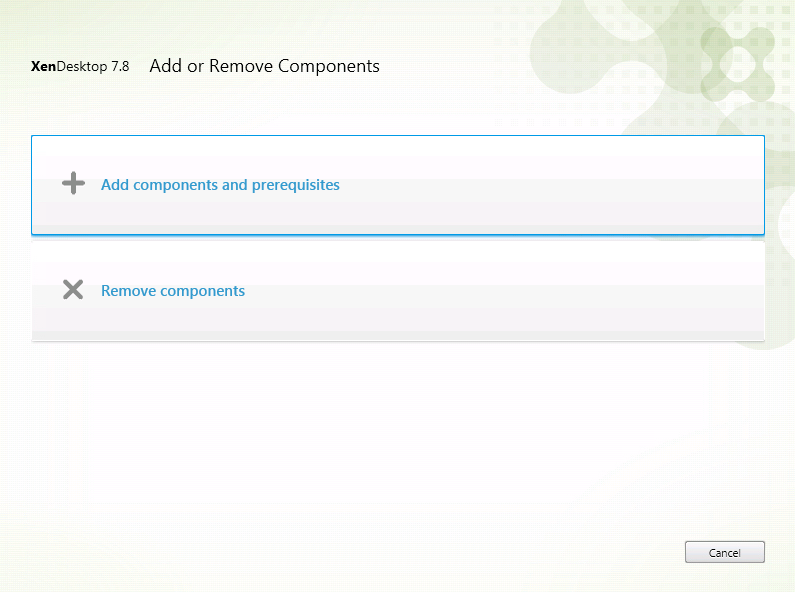 Select Add Components and Prerequisites. Uncheck StoreFront and Click Next. Select Automatically and Click Next. Verify the information in the summary window. Click Next to start the installation. Click Finish. 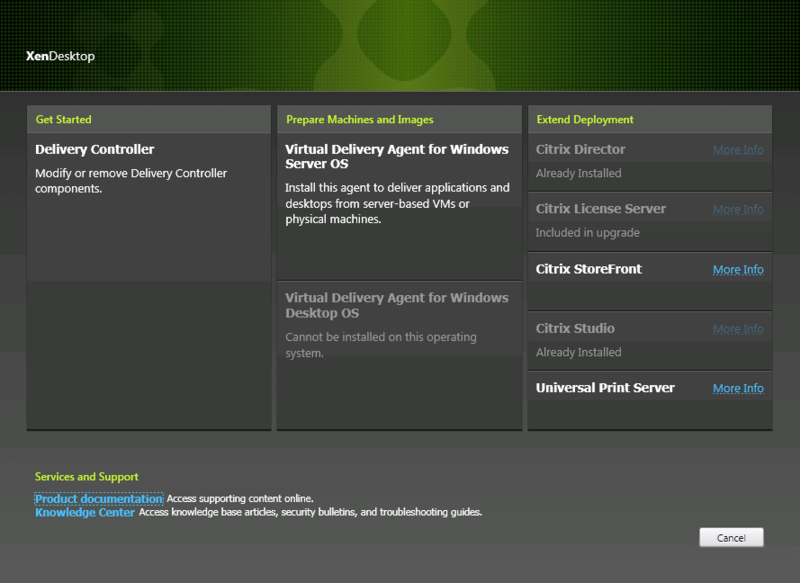 Then launch Citrix License Server web console and verify the version and build is correct. Licenses from old product editions appear on the Dashboard of the License Administration Console even though they are no longer valid. If you do not remove obsolete and/or unnecessary license allocations, you might see persistent alerts regarding the Subscription Advantage expiration dates of these licenses. You cannot turn these alerts off. The only impact of leaving obsolete license allocations on License Servers is that you will continue to receive these alerts. If you want to remove the licenses, see Delete License Files. Uninstall any versions of Citrix Licensing older than version 11.3 before installing this version. Start the License Administration Console from the programs menu: Citrix > Management Consoles > License Administration Console. Click Administration and select the System Information tab. See the release version in the information list. Open the Registry Editor (Start > Run > regedit). Note: Use Registry Editor to view the license server information only. Editing the Registry can cause serious problems that may require you to reinstall your operating system. The version number appears in the Version key in the format: 11.12.1.0 build 14100.